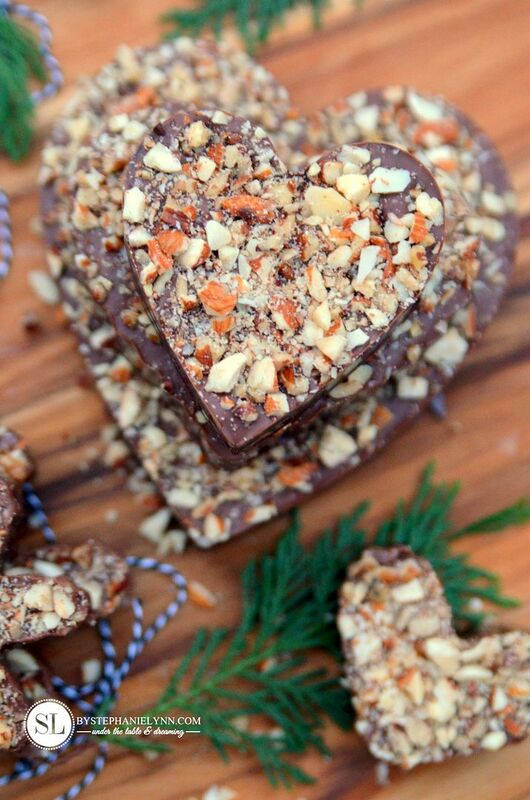 Chocolate Peanut Butter Pretzel Bark Recipe | I’m always looking for simple handmade gifts that can be put together quite quickly – especially gifts that I can have, on- hand, for hostess gifts or unexpected visitors during the holidays. Today I have an easy bark recipe to share that takes just minutes to whip up and requires just a few key ingredients. The best thing about chocolate bark is that it can customized with just about any toppings you have available in your pantry. 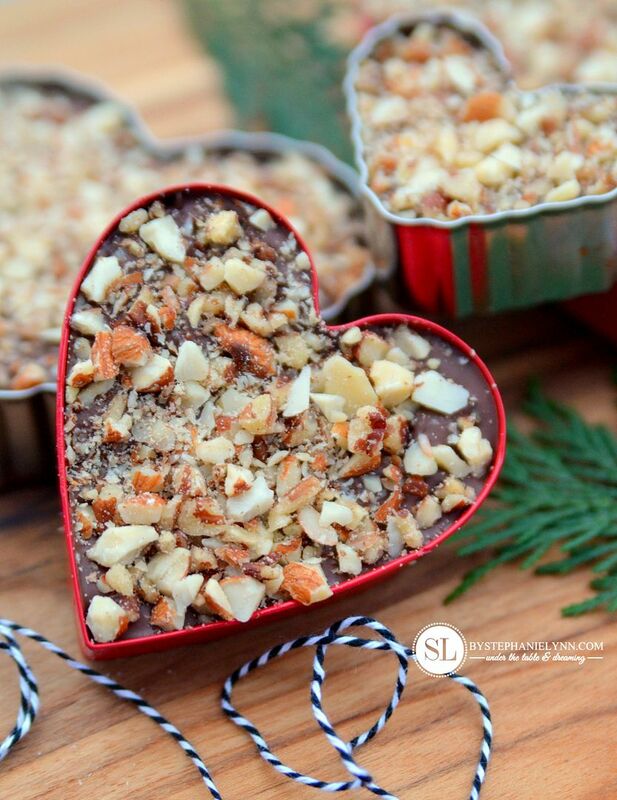 Cookies, candy, candy canes – you can’t really go wrong crushing up your favorites and sprinkling them on a bed of rich chocolate! This bark combines sweet chocolate and creamy peanut butter along with salty pretzels and crunchy nuts. 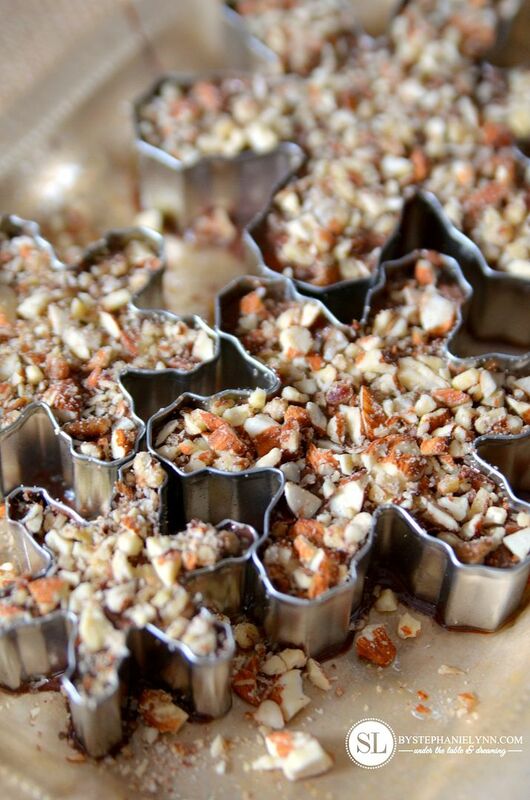 Instead of pouring the melted chocolate into a pan – pour it into a few cookie cutters for special presentation. Once chilled, the bark pops right out of the cookie cutters and is ready for packaging. The shapes are adorable on their own – a clear, plain bag and some bakers twine is all it takes. Combine the milk chocolate chips with the peanut butter and melt – according to the package directions – using a microwave or double broiler method. 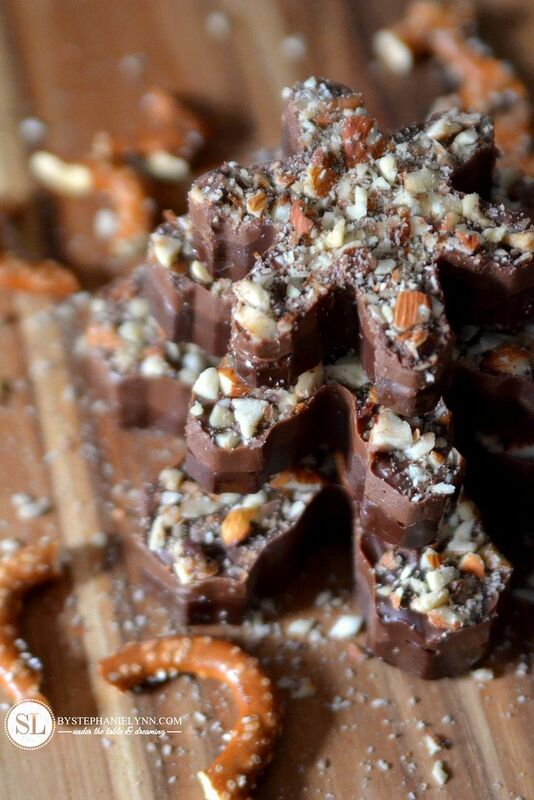 Pour the chocolate peanut butter mixture over the semi sweet chocolate and top with the crushed nuts. Food gifts are the best. 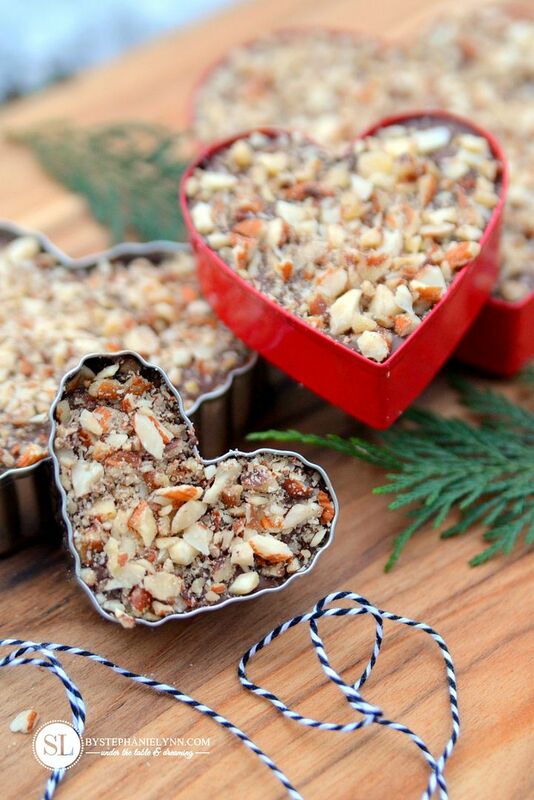 Putting the chocolate in cookie cutter shapes is a great idea to make the gift extra special. I’m going to remember this especially at Christmas time.